When John Finnis decided to dedicate to Thomas Aquinas the first of the Oxford University Press book series about the founders of modern thought, it was sort of a revolution. Modern thought has been – since the French Revolution – attributed to the Enlightenment. It begins – according to history of philosophy books – with Hobbes, and reaches the peak right with the French Revolution. At that time, the Enlightenment takes science away from religion, and the human person is detached fromthe law. Persons are provided a sort of «instructions book» (when is a war just; when is a thought progressive; when is morality truly morality), and following it will not lead to error. There is not God, there is Reason. But the latter is a very demanding deity. John Finnis had the courage to go beyond this instructions book. A legal positivist in the past, he then changed his point of view – he also converted to Catholicism -, and looked beyond the written «one way» history often taught in schools. He decided to identify, as the founder of modern thought, a theologian — a Dominican friar whose philosophic vision cannot stand without his faith. How many «John Finnis» are in the world? A lot, indeed. There are those who studythe history of human rights and reveal they did not rise with Enlightenment and legal positivism, but much earlier, with the Salamanca Dominican School and the report of the Indias by Bartolomé de Las Casas. There are those who study the history of the law, and show that, yes, the Inquisition degenerated horribly, but the reason why it came into being was to reform judicial procedures, and to institute a person-centered trial. Before, accused persons had to defend themselves from any given accusation. In the Inquisition’s trials, the accused is presumed innocent until proven guilty. There is a whole visible – and yet hidden – world delineating the contours of a culture directly rooted in Catholicism.A world that Catholic-inspired institutions should call our attention to. Recently, much has been written and said about Benedict XVI’s Twitter account. A really big deal? Not at all. In fact – as father Antonio Spadaro, director of the Jesuit bi-monthly Civiltà Cattolica, rightly put it – Benedict XVI’s twitter account is a direct consequence of the radio messages inaugurated by Pope Pius XI. 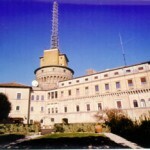 Radio messages that, with Pius XII during the Second World War, acquired the very force of a social encyclical. The issue is not about having a Twitter account or not, or about reaching out to bloggers – as the Vatican did in a Meeting for Bloggers held the day after John Paul II’s beatification. The issue is not even the need to have a portal like news.va, a news aggregator which also works as a Vatican official channel for news. All of this is important, but it is just cosmetic. And the way it is managed can serve to increase visibility, but fails in delivering content, which is most important. 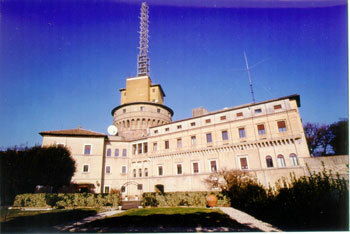 It seems it was a long time ago that Pope Pius XI, conscious of the importance of the Church’s message, hired Guglielmo Marconi to build and start the Vatican Radio. But many – inside the Holy See – are not fully aware of the value of the message that they have a role in transmitting. They are not conscious of the importance to tell and communicate that message. This is ultimately the reason why there is little coverage of the lively Catholicism of parishes, and why Catholic culture and transmitting the Church’s history are not supported. Much should be rewritten in history books, to show the role of Catholicism in the world. But the Catholic intelligentsia seems not to be conscious of it. It is so unconscious about it that – for example – the administration of seminaries is transferred to the Congregation for the Clergy and taken away from the Congregation for Catholic Education– despite the fact that the latter provided a comprehensive education, not just one for sacristies. Catholic thought is now spread thanks to some small initiatives. Far from being just “local”, these initiatives can be considered small flowers that blossom in the desert.They need to be fully appreciated. In Italy, there are at least two noteworthy examples. The Cardinal Michele Giordano Prize (in memory of cardinal Michele Giordano) has been sponsored by L’Orientale Editrice publishing house. Established in memory of the mourned archbishop of Naples (he died in 2010), the prize recognizes a book of religious interest published in 2012 (a commission will choose three finalists, and the winner will be elected via a facebook vote), thus stimulating and rewarding Catholic publishing. The prize was inspired by Cardinal Giordano’s keen appreciation for the media. As archbishop of Naples, he came up with the “Premio Buone Notizie” (good news prize), which he awarded to prominent journalists.